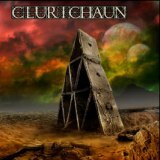 Irish four-piece Clurichan play a slightly prog-tinged form of alt metal that is rich on both tunes and experimentation. Songs are lively and whimsical, moving between hard-edged freakouts and meandering melodies, keeping a smooth flow throughtout the album. The band's name is based on a creature from Irish folklore, something like a hard-drinking leprechaun, but although there's a hint of ska influence to Metamorphosis, for the most part this is far more in the hard rock/metal domain. Clurichaun are big on guitar leads, guitarist Tommy Buckley having a knack at creating catchy riffs and ear-pleasing melodies which gives this, their debut full-length, much of its enjoyability. There's a lot to like, opener Vicious Circle a melodic ear-hooking stomper that sets the scene well. Smug Druggler's chugging opening opens out well into a almost thrashy number, while Smoke Screen has a fun mid-90s Metallica air, grooving hard but very experimental, with a lengthy voiceover. One major criticism is that the band rely on these sampled voiceovers a lot, which distracts from the music heedlessly and makes the music sound a bit dated. Still, that's not a bad thing if you enjoy what the band creates, and I certainly did. Despite being a debut full-length, the band try and mix it up a little; for example Charlie BoPeep is laid-back and almost jazzy, the brief bassy plunkings of Get Out the only other moment similar. Some of the experimentation can go a little too far - the likes of Sleepy Time don't actually feel like complete songs. But that's a very harsh criticism of what is an engaging, interesting album that shows the groundroots of a good, solid band. Once the songwriting gremlins are overcome, Clurichan will be an act very much worth your time.